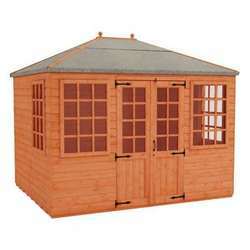 Garden Sheds in a variety of styles, from to apex to pent to workshop and many more can be found here. 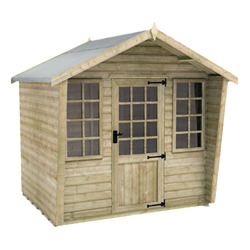 Our broad range of high quality wooden garden sheds are available in a variety of different cladding types (T&G shiplap, overlap, tanalised / pressure treated, and log board). 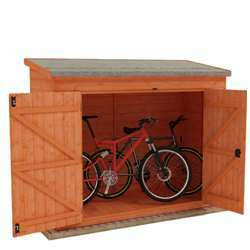 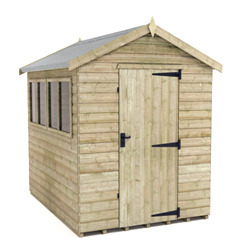 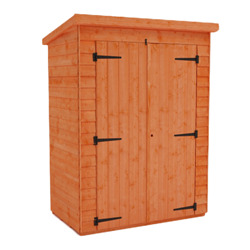 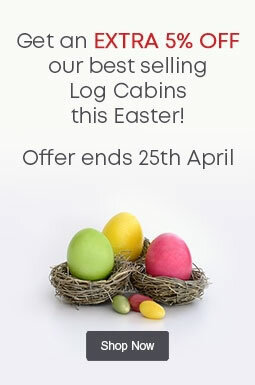 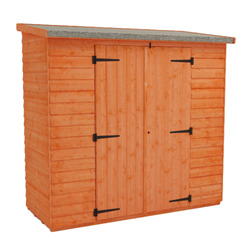 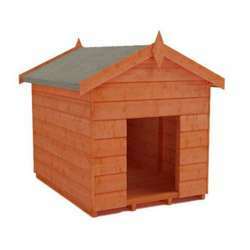 Our cheap garden sheds come with FREE delivery to most of GB mainland (exclusions apply). 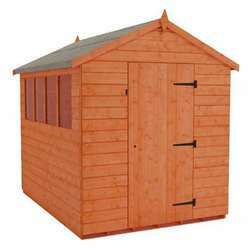 This page displays the many Garden Sheds that Tiger Sheds have to offer. 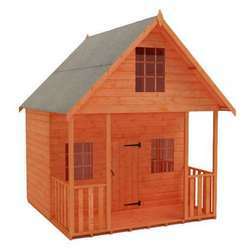 With wooden, plastic and metal available in many sizes and styles, there is something there for every requirement. 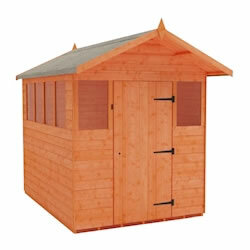 Our garden sheds come in apex, pent or barn style roofs and are available in different cladding types. 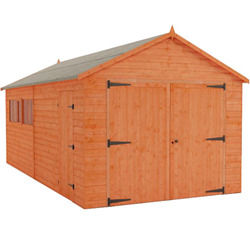 Our garden sheds generally last for 25 years plus, so please check/compare the following vital specifications when comparing our garden sheds to those from lower grade competitor companies as the following specifications are vital. Shed Cladding: Our shiplap tongue and groove sheds are provided with 12mm thick cladding (this is the FINISHED SIZE!). 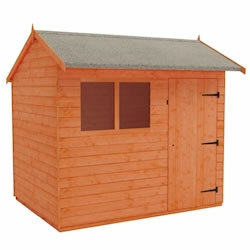 Our overlap sheds are made from 9mm thich cladding - this is far thicker than most competitor buildings. 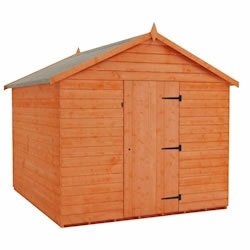 Please make sure you look at the cladding thickness when comparing sheds. Also ensure you ask for the finish size - many competitors try to fool you by providing the size of the timber before it has been cut down. 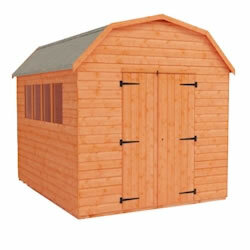 Shed Framing Thickness: All of our sheds come as standard with at least 44x28mm thick framing - this is twice as thick as most competitor buildings. 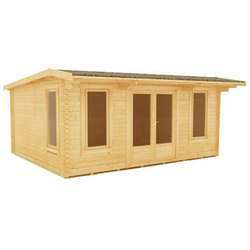 Framing is the backbone of the building and provides the strength / structural integrity. 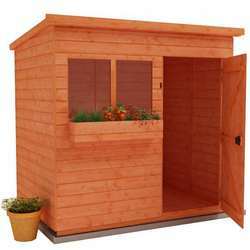 It is vital that you do not buy a garden shed that comes with matchstick thin framework. 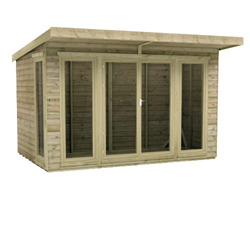 Framing Quality: The framing we provide is always rounded four corner framing. 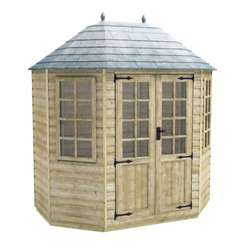 DO NOT go for rough cut framing which approx 90% of competitors provide - rough cut framing is very prone to warping, splitting and giving out splinters. 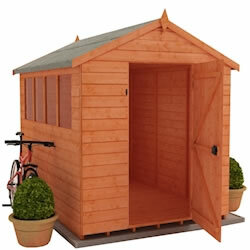 Ensure you check what the framing is made from when buying a shed. 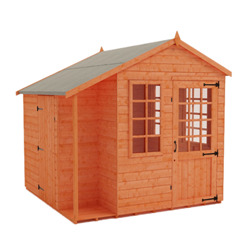 Roof and Floor: THIS IS ESSENTIAL - our garden sheds come with fully boarded roof and floors - DO NOT go for garden sheds with chipboard or OSB roof or floors. 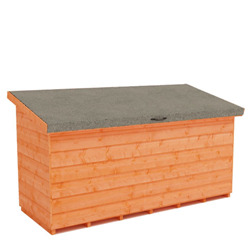 The floor will be much more likely to rot and the roof will be much more prone to sagging in the centre with these types of roof/floor. 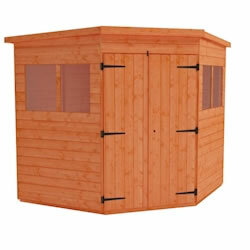 Timber quality: our timber is high grade European softwood. 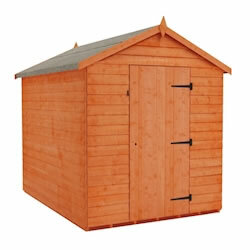 Most competitors use lower grade Baltic timber which is prone to warping and splitting. 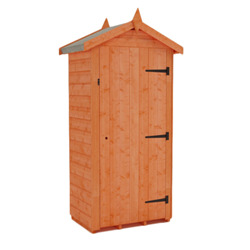 Height: I am quite sure our roof height will be higher than in any other building you may buy - you will have to stoop in another shed. 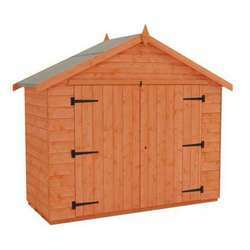 Pay particular interest to our high eaves height - many companies have sheds where the eaves height is even lower than the height of the door! 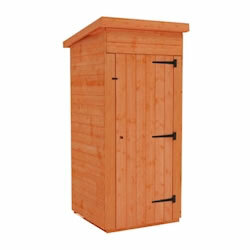 Pre Hung doors: Our doors are pre hung to make the assembly of your garden building very easy. 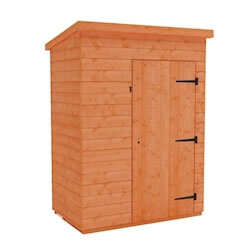 You will most likely have to hang the door yourself if you go elsewhere.